Good morning! 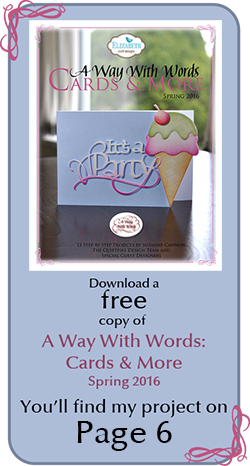 I'm excited to show you a new technique I tried after seeing this card by Dina Kowal. 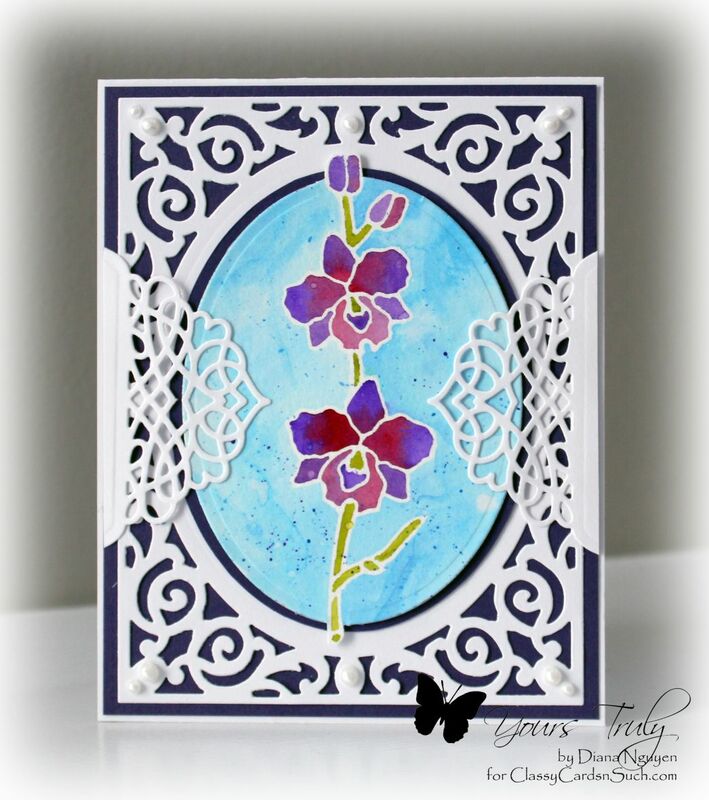 I placed the Cattleya Orchid outline sticker by Elizabeth Craft Designs onto watercolor paper and painted using the Twinkling H2O's Thankful set. After it was dried, I peeled off the sticker to reveal the clean white lines. Isn't the effect just wonderful? I love how shimmery it is in real life. To frame my tiny little painting, I did some "off the edge" die cutting with the oval from the Spellbinders A2 Filigree Delight set. I cut in halfway with the oval, turned it around and cut into the other half, leaves the top bud and bottom stem whole. I then cut that around by hand. The large filigree die is then matted on purple card stock on top of a white base layer. I then added the intricate side dies by trimming off the lacy part of the Tranquil moments by Spellbinders to the side of my card. Finally, I added some pearls with the ice white Viva Decor Pearl Pen... I don't think I've ever not added pearls to this die cut! Thanks for looking and I hope you've been inspired to do some "paint in the lines!"